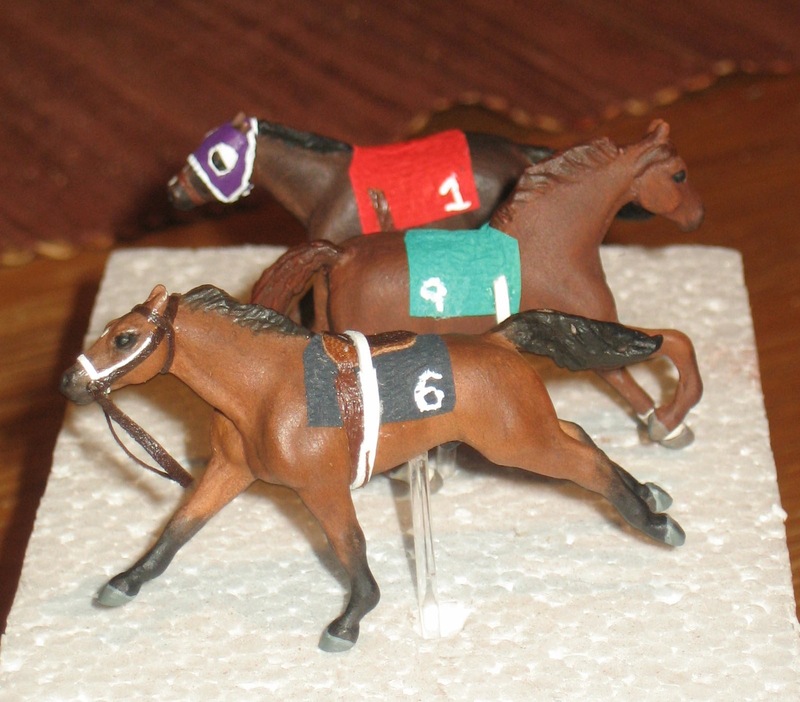 My race horse project has been literally and figuratively on the shelf for a few weeks while I have been busy with work and other crafts. 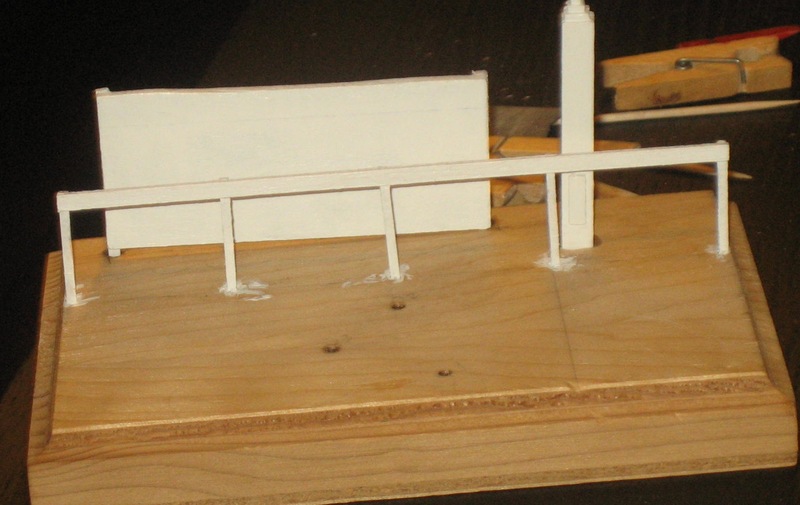 Today I finally got to work on the one aspect I wasn’t really looking forward to: the tote board. I’d been putting it off mainly because I was having difficulty understanding exactly what should be on a tote board. There aren’t many pictures and those that are out there vary a lot. 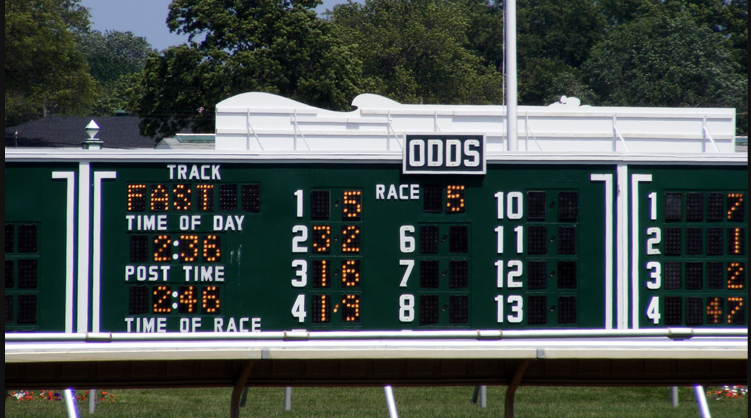 Plus, all the explanations of tote boards that I found were written for those interested in betting. 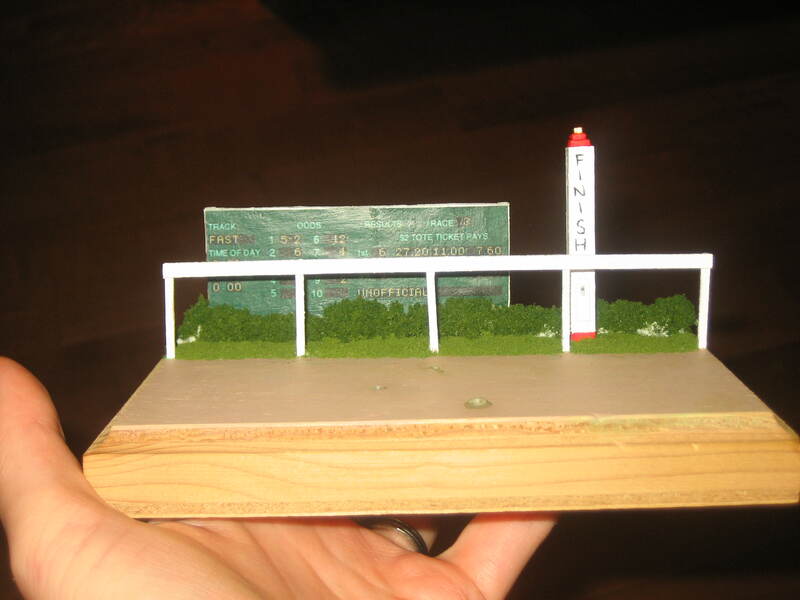 So I ended up doing a lot of piecing together to design my micro sized version. 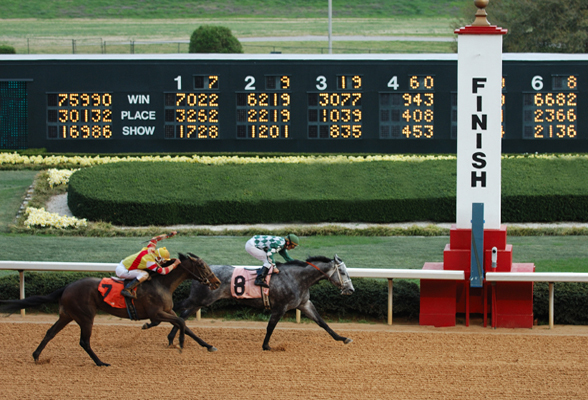 The tote board is the huge, digitalized sign that sits near the finish line at race tracks. 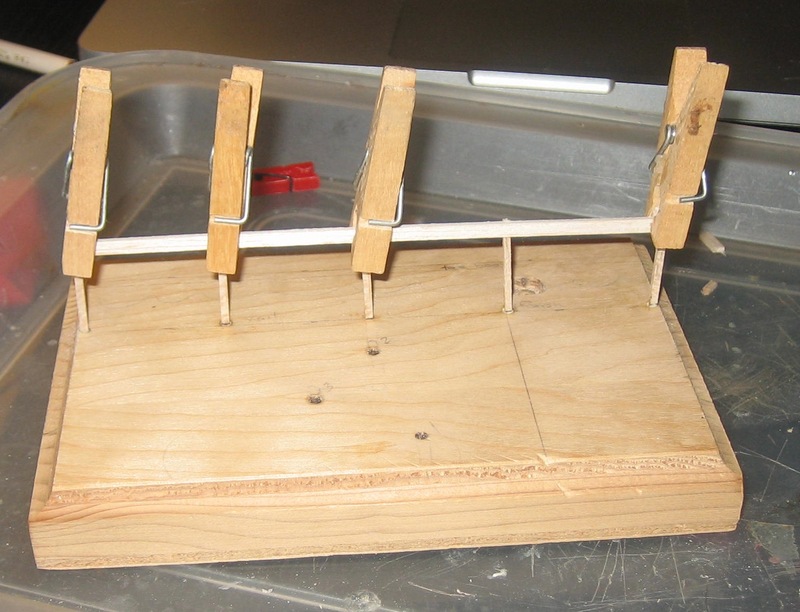 The name is short for “totalizer,” which is the automated system that runs race track betting. 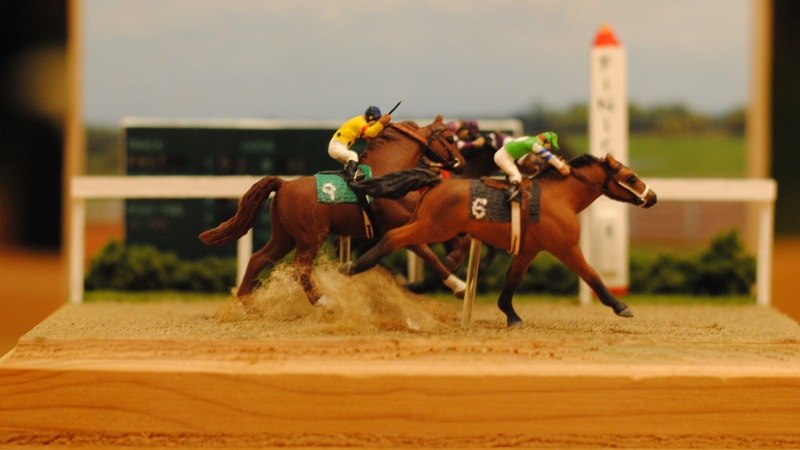 The main information it provides is for betters, including the odds for each horse, the “pools,” race results and pay outs. In the above picture, the final odds for each horse is listed next to their entrant number across the top, left to right. Below that are the pools for each entrant in each placings and to the far left are the total pools for win, place, and show. To clarify, horse number one is running at 7-1 odds in this race (the “to one” is implied). The total amount of money bet on him to win is $7022, with $3262 bet on him to place and $1728 bet on him to show. This tote board also shows each horses odds. The numbers to the right may be pool totals. 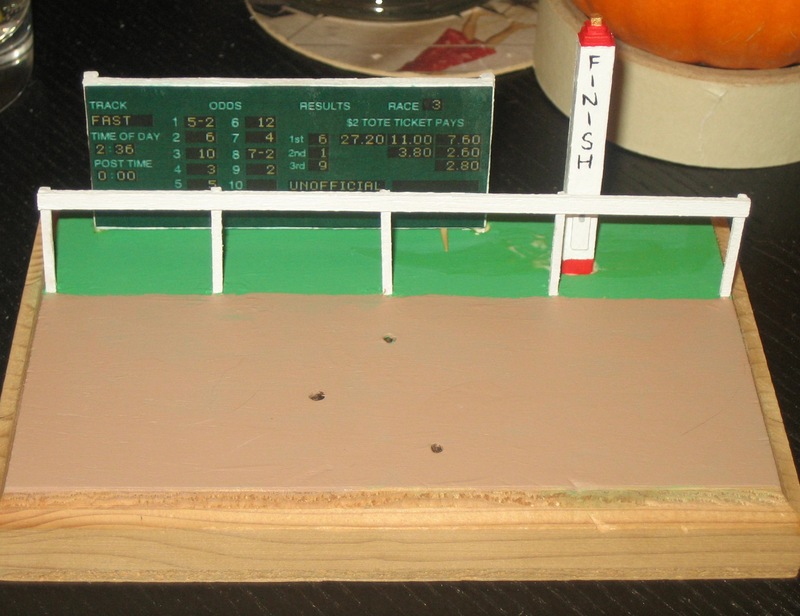 On the left is more information commonly seen on tote boards: the track conditions, time of day, post time, and time of race. 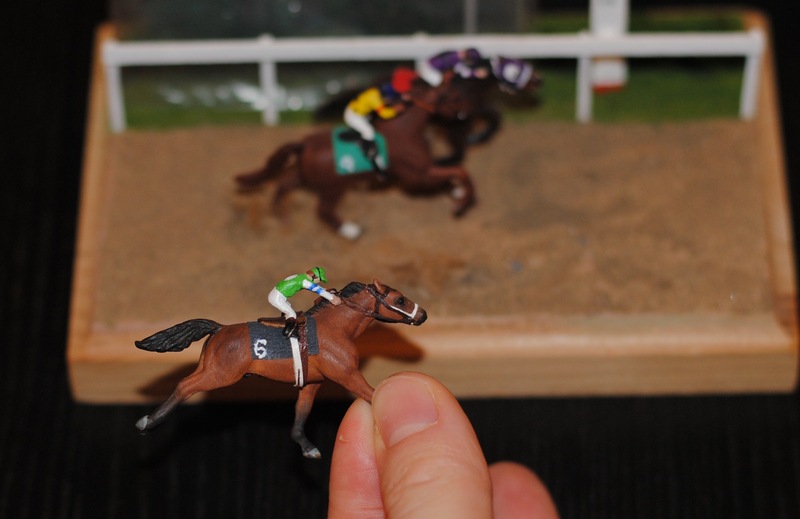 Track condition can effect the race and specific horses significantly, so it’s an important thing to know. 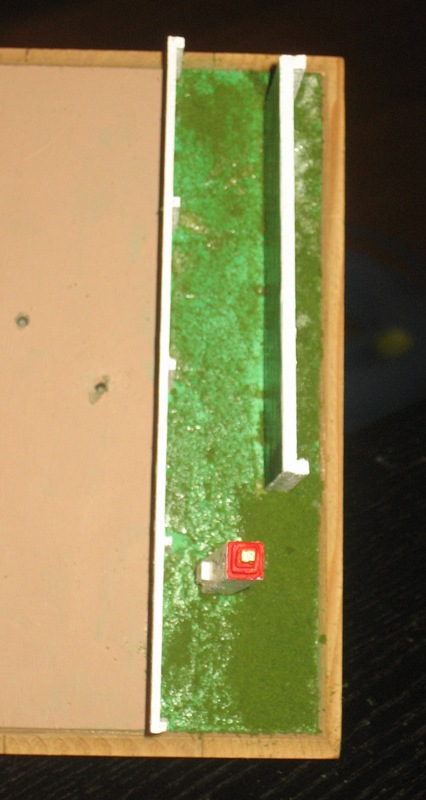 On different days the track may be fast, slow, muddy, sloppy, or even frozen. 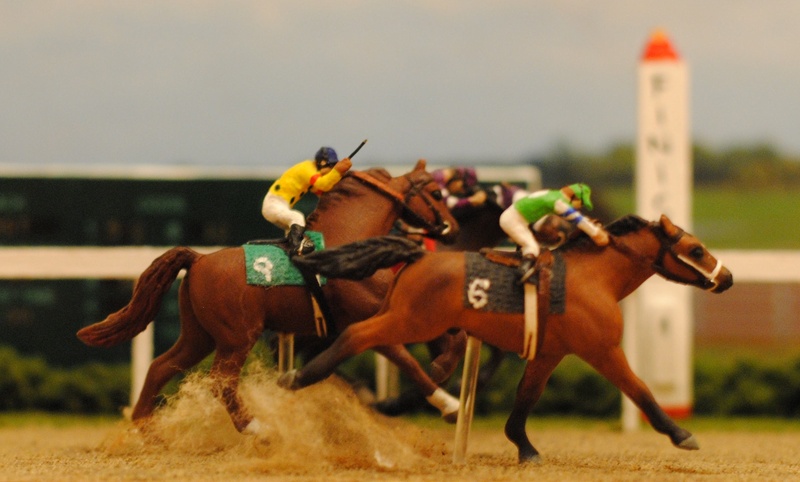 The count down to post time reminds bettors how much time they have left to get their bets in. 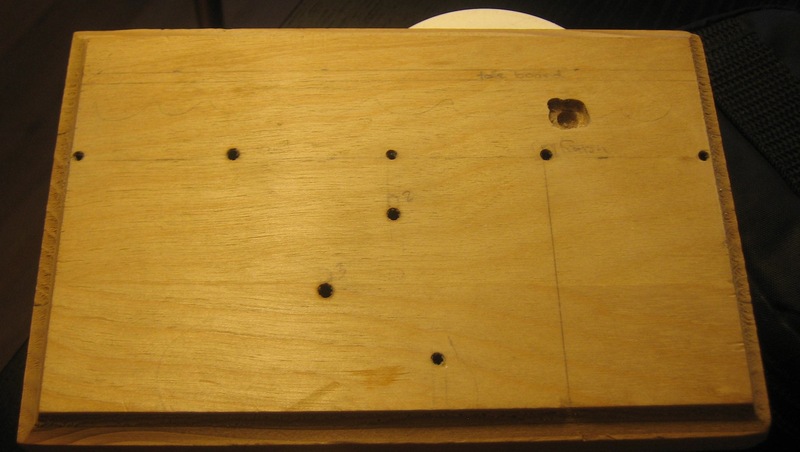 This photo shows one of the most important pieces of information on the board: the results and payouts. 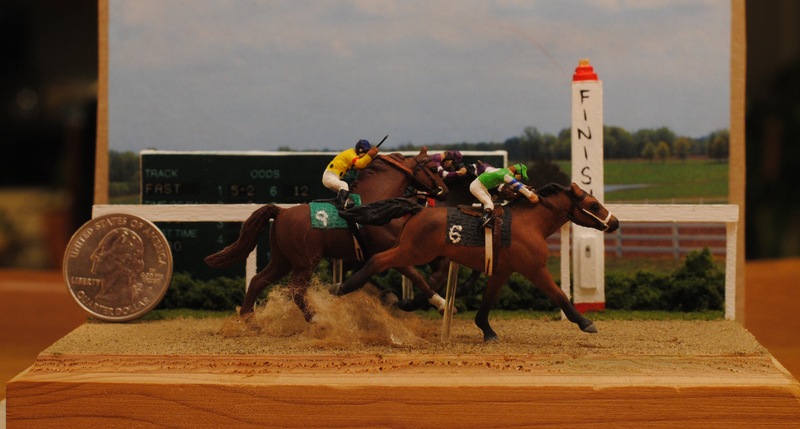 Results are usually listed up to fourth place, and the payouts for each placing listed. In the last race the winner was horse number 8, and a bet on him to win yielded $103 (an unusually high payout- he must have been a long shot). Notice that the board includes the race number (11) and also denotes that the results are Official. 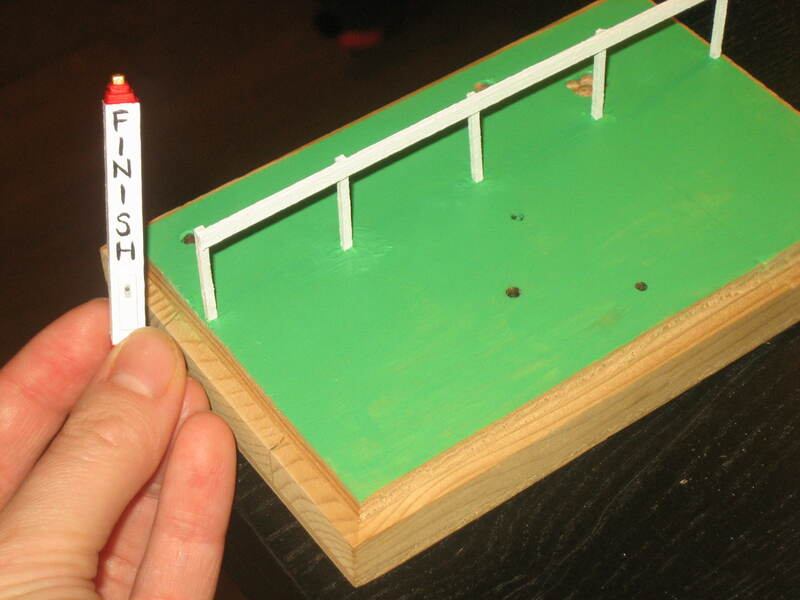 This means that any photo finish has been resolved, no jockey has claimed a foul, and no steward has raised an enquiry. Along with the basic payouts, tote boards will often display probable payouts for exactas (a bet on the first two placings, in order), trifectas (win, place, and show, in order), quinellas (first two placings, any order). 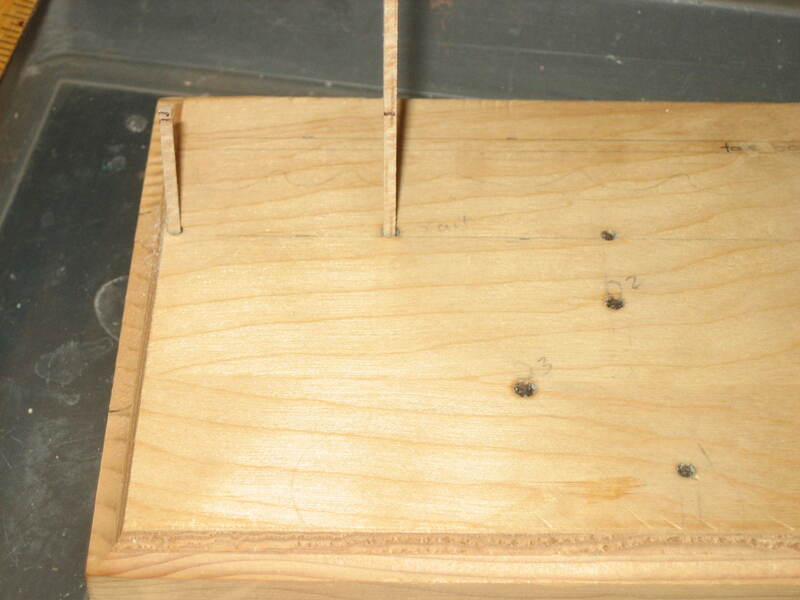 The board may also include the fractional times for the race (also known as “splits”). These usually include the times for a quarter mile, half mile, three fourths of a mile (6 furlongs), and a mile. The final time is also usually listed. After doing the research to better understand the tote board, I designed my board with the information I wanted. 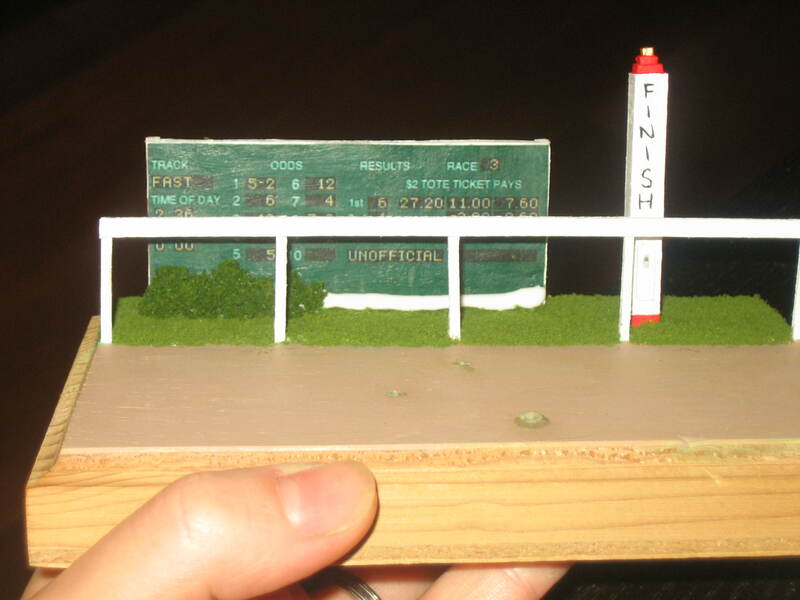 I wanted track conditions, time and post time, listed odds, race number, and unofficial results (my horses will be positioned crossing the finish line). I obtained odds and corresponding potential payouts are from a race listed on the online betting site tvg.com. 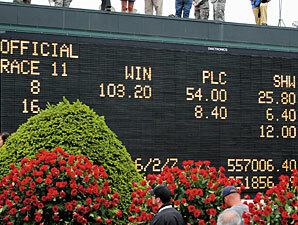 I learned about the tote board mostly from Ultimate Handicapper and Wikipedia article on betting. I took (but didn’t use) fractional times from races listed at the Turfway Park website. 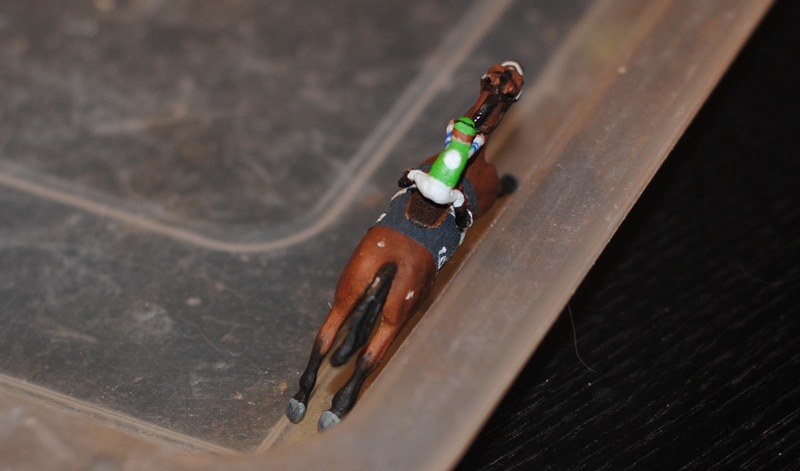 I learned how saddle blanket colors correspond to post positions from Jennifer Buxton’s blog. 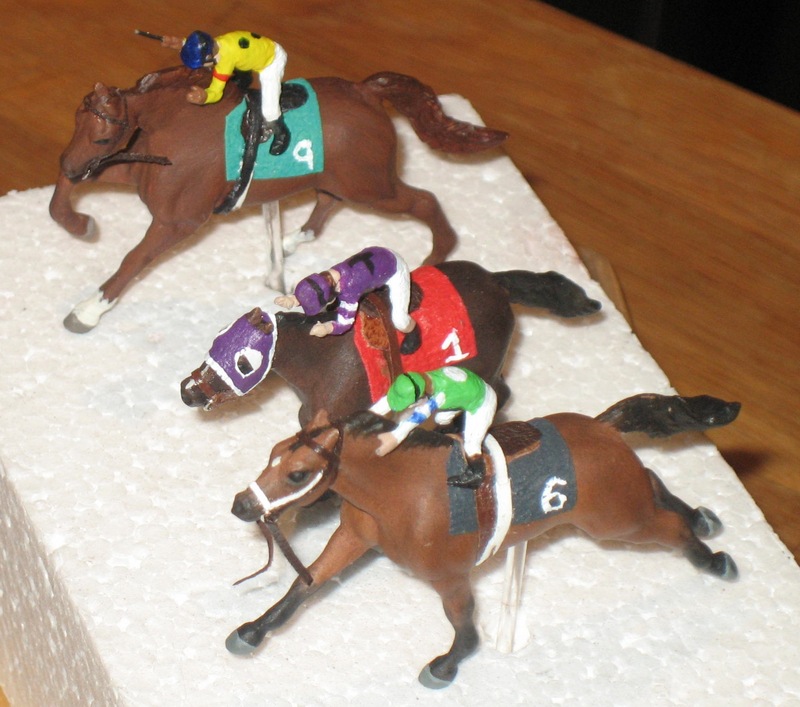 I am busy this weekend with fun activities and also judging a division for MHOSS, so I probably won’t have time to finish up the race horses this weekend. 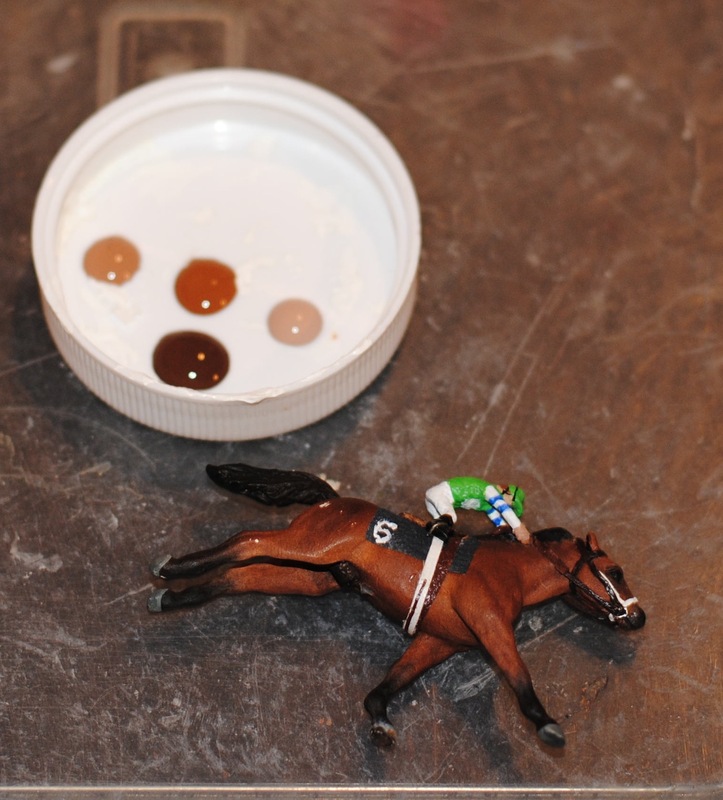 But the jockeys have evolved from water striders into, well, little jockeys. 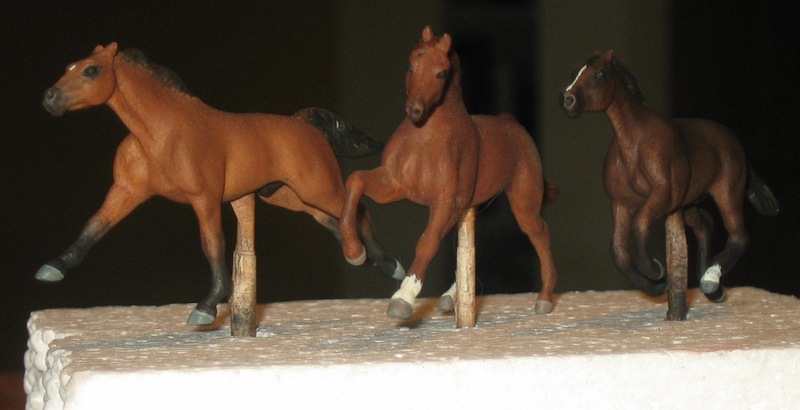 Next time I have time to work on these guys I’ll be adding reins and stirrups, gluing on the jockeys, and then starting on a rather complicated base. Whee! I’m not totally useless without my husband. There are times, however, when he is traveling and with no one around to prod me I start working on ponies and forget to eat dinner. 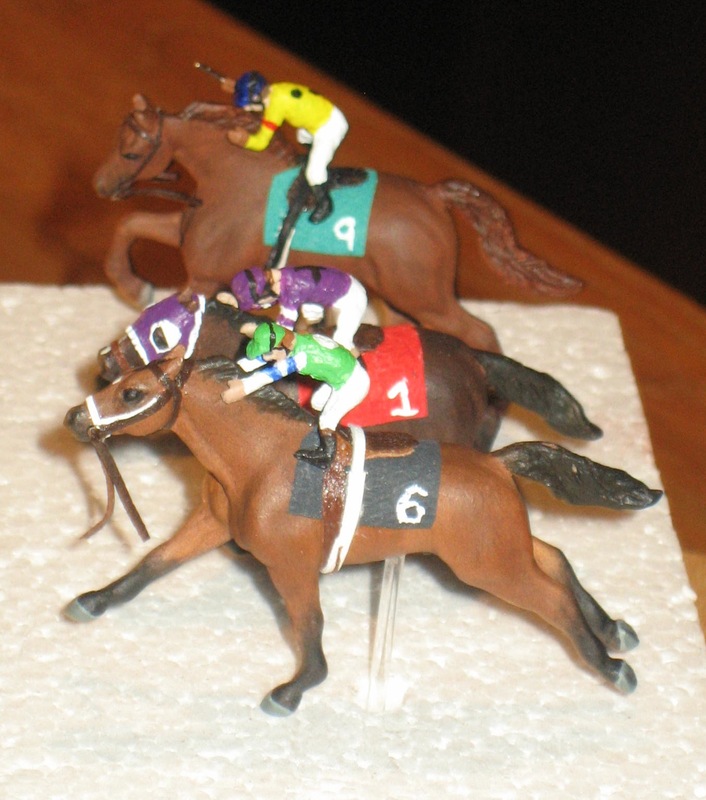 I’ve been working a little bit each day on my three micro mini racehorses and they are now done. 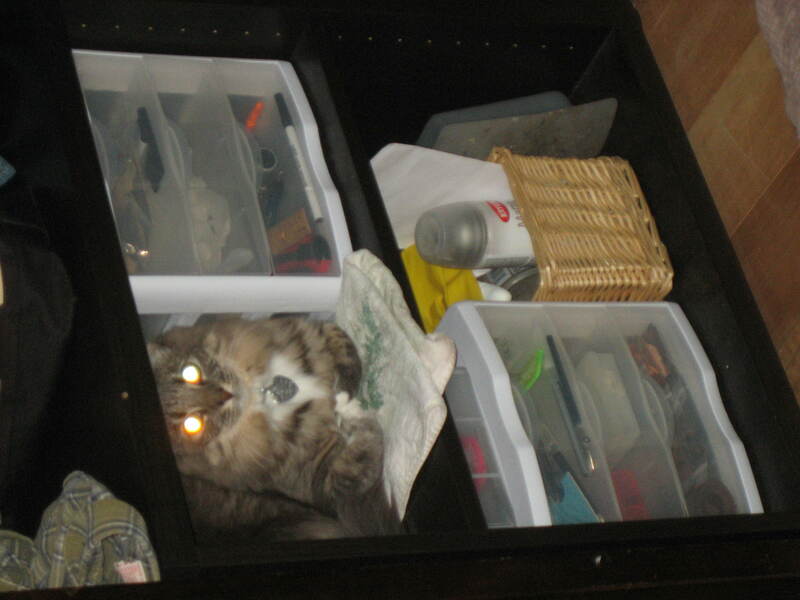 My finish work supplies have been staying out on the table and the place they went on the shelf has already been usurped. 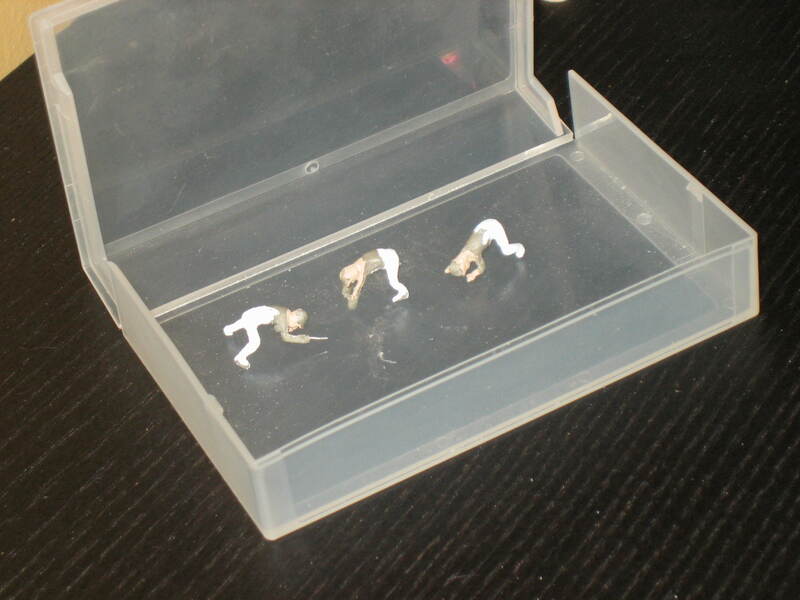 The next step in my diorama is to add tack and jockeys. And that means I need to decide on silk colors for the three horses. I wanted to make sure I was being authentic, so I did a bit of research on jockey’s silks. Thanks to this cool blog post about the history of jockey’s attire and the classism inherent in horse racing, I learned some of the basic rules of silks. 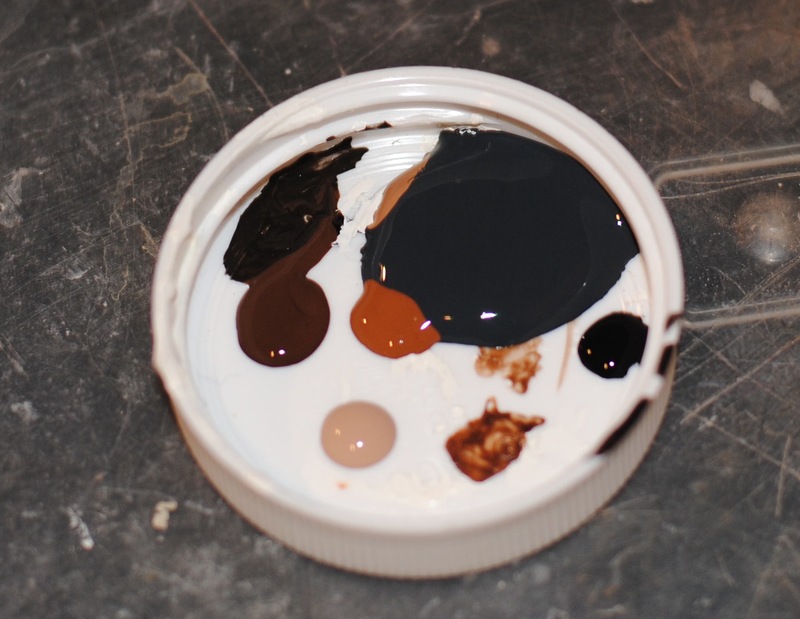 In designing my silks I needed to keep in mind that jockeys wear white pants, hats should match silks, and silks can have a maximum of four colors. And then I found this wonderful Design Your Own Silks website! I am happy with the silks I chose for Catharsis, which are purple, white, and black. Catharsis will be shown finishing the race in second place behind Rumble Strip. 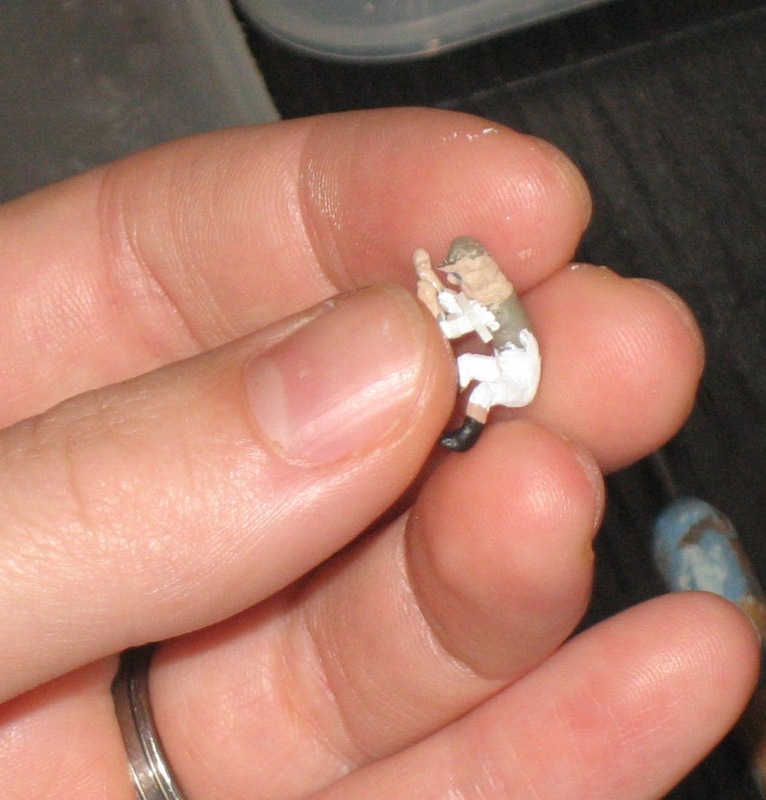 He may wear a set of blinkers if I can figure out how to make little tiny eye cups, in which case his blinkers would most likely be purple to match his jockey.